Brisbane is the capital of Queensland, Australia’s fastest growing state. This growth is also reflected within the Jewish community with a constant flow of new families moving to Brisbane from interstate and overseas. 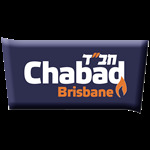 Chabad Brisbane is situated approximately 15 km southeast of the City centre in the suburb of Carindale, within relative close proximity to the Jewish Communal Centre Queensland (JCCQ). The JCCQ campus incorporates Sinai College, Queenslands only Jewish day school (Prep – Year 6), the Burbank Communtiy Childcare Centre (18 months - 5 years), the Jewish Communal Centre and the Queensland Jewish retirement village. There are two Synagogues in Brisbane, the Brisbane Hebrew Congregation in the City centre, where Rabbi Levi Jaffe now serves as Rabbi, and South Brisbane Hebrew Congregation in Greenslopes, approximately 5 km South of the city. A Jewish Kindergarten, Gan Gani, is situated in the Western suburb of Fig Tree Pocket. Also note, although the seasons are different in the southern hemisphere nevertheless in the prayers we say the inserts for summer and winter to coincide with Israel and the rest of the northern hemisphere. Additionally there are weekday Minyanim on Mondays and Thursdays 6:00am held at The Brisbane Hebrew Congregation, and 7:30pm on Tuesdays prior to Rabbi Jaffe's weekly Parsha Shuir at Chabad Brisbane. If you need to say kaddish while in Brisbane please do not hesitate to contact us to discuss the possibility of additional Minyanim.